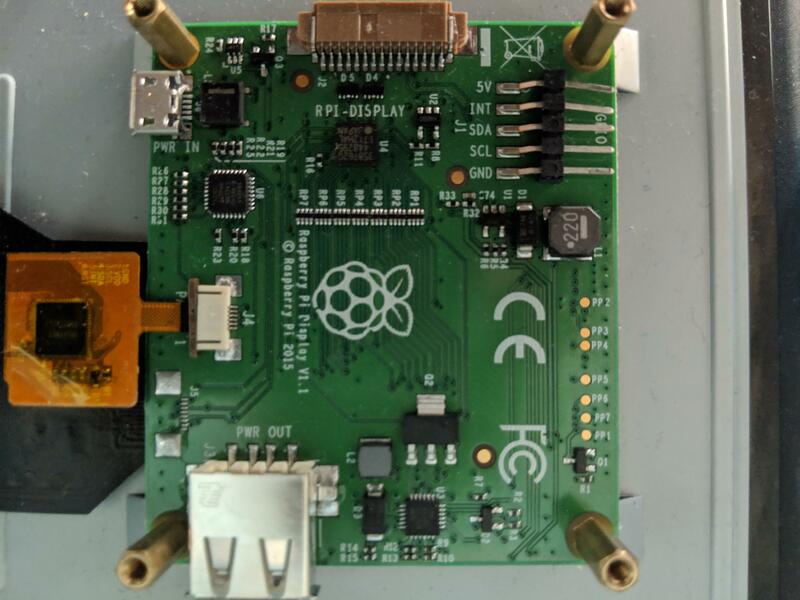 My raspberry pi 7" touchscreen display board black plastic connector (BROWN CONNECTION ABOVE RPI DISPLAY LETTERING) that holds the ribbon to the raspberry pi broke and I am looking for a replacement display adapter board. However, I have been unable to find a place online that sells JUST the display board. I don't want to pay another $70 for the display and the adapter board, there is no issues with the display. Is there anyone that can help me. I attached a picture of what I need to replace. Otherwise, can you tell me how to replace the plastic connector/clip on the display board (if possible)? Picture of the board in question ! [ ]2is attached. It's not available as a replacement part. You can only buy the whole unit as a complete assembly. Not the answer you're looking for? Browse other questions tagged display touchscreen screen gertboard diy or ask your own question. How do I resize the screen on my LCD touchscreen?